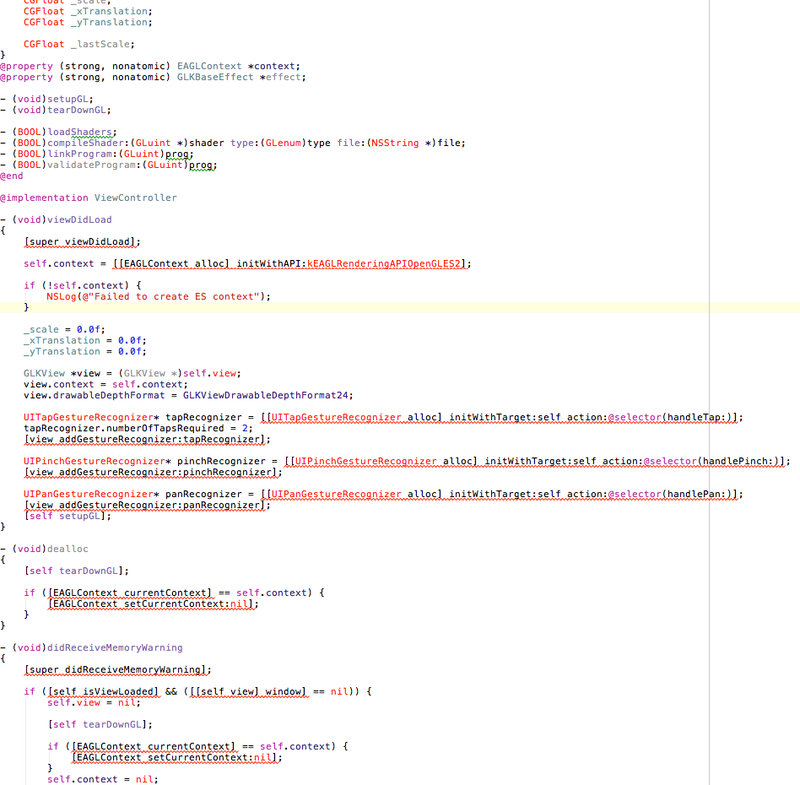 Something has happened to my AppCode which is causing it to not recognize pretty much every type in the system. The application still compiles and is runable and appears to be fine in XCode. I have both the last stable version and the latest EAP and they both exhibit the same behavior. Is there some way to reset or the index or do something to fix this problem? I attached a screenshot to show you what I mean. You can try 'Invalidate Caches' under the File menu. That will remove all the cached indexes, and prompt you to restart. After restart AppCode will rebuild the indexes from scratch. I just did the invalidate caches and restart. When I restarted AppCode rebuilt the indexes but I still ended up with the same broken state. Anything else I coudl try? I just deleted both AppCode and XCode and reinstalled both of them. It appears things are back to normal now. Neither am I, but I'm happy that you're back on track. Got it too this morning, but when looking into the preference, I see that he was using XCode 5 dp1 : that was the problem. So I use XCode-select on the command line to indicate the XCode 4 as the sources of whatever AppCode need, and voilà ! We've just released AppCode 2.1 that supports Xcode 5.